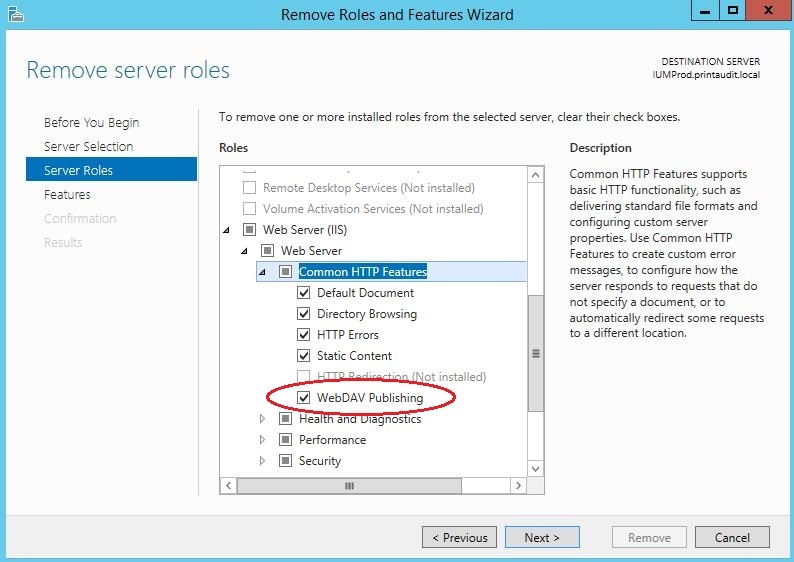 Solution: Remove "WebDAV Pubishing" from the from IIS Server Roles. Go into Roles and Features on the Server. Under Web Server (IIS) --> Web Server --> Common HTTP Features. If "WebDAV Publishing" is enabled, disable it. The change will not take effect until the server is rebooted.